Even though the beach is across the street, they brought the sand right up to their outside dining area for the full beach experience. As I walked inside, I was hit by the basketball game being broadcasted from every where I turned. Ugh, I forgot how much I dislike sports bars. And tonight was some big GAME 7, whatever that means. Too much sports! (Too many sports? No, I’m sticking with much) But as I walked to the bar, something else caught my attention. What are these vats of vegetables doing here? This is Tower 13’s vegetable infused vodka used mostly for Bloody Marys. As Debbie and I walked a bit further we found something even better! Why yes, we WILL take two shots of this please! Chilled you ask? Sure, chill it up! And just like THAT, this sports bar started getting a LOT more fun! In fact, the not-so-funny sign out front, was REALLY funny now! As the rest of our group showed up, we decided to keep the fun going with some beer. I was very excited to see the Belching Beaver’s Peanut Butter Milk Stout on the menu and was going to order it. But Debbie said it doesn’t really go with seafood. I said a little too loudly, ” I’m going to order what I want even if it doesn’t ‘go’ because I’m a rule maker, not a rule follower!” That was the pineapple tequila talking. But when everyone else ordered the Latitude 33 Blood Orange IPA, I decided to follow along ‘cuz they all probably knew what they were doing here. Leader or sheep, it didn’t matter, I love this beer! Like I’ve said before, the worst part about sport bars for me, is the sports! And this was IN OUR FACE! That speaker was just inches above poor Gavin’s head. When we asked our server if she could at least turn in down, she kindly turned that speaker completely off which was way better. We started with some good ‘ole chips, salsa and guac. It was…meh. I thought the salsa was boring and two of us agreed that the guacamole was on the salty side. There was actually guacamole left over after the chips were gone and that never happens! The menu offers tons of different flavored wings, but Qwen ordered hers “Naked” with some traditional dipping sauces on the side. Sometimes a girl just wants things back to basics. We’re not all complicated and frilly ya know! Having recently just won the Taste of Cardiff with their Ceviche, Mary ordered one for dinner. Their ceviche has been in tough rivalry with Seaside Market’s every year, and this year’s win doesn’t go by quietly. Where does The Encinitas Fish House’s Ceviche come into play I wonder, because that’s the one I’m thinking about! For dinner Hubby and I ordered the grilled shrimp tacos. The mango salsa was good and the shrimp were grilled perfectly, not overdone. There is a poblano creme sauce on the side not shown, that was very tasty. BUT….for $12 a plate, this was not worth the price. There weren’t any rice or beans, just two tacos with chips, and they were too skimpy on the shrimpy to warrant the big price tag. But it certainly did pair perfectly with the Lattitude 33 Blood Orange IPA! Remember, always listen to your sommelier when ordering beer. Mine is Kelly. “Bottomless Pit” ordered an Apple Brie Burger. I have to read that sentence again because it doesn’t register in my brain. BP used to be referred to as “Everything On The Side With Nothing Else On It” because he used to be the pickiest eater this side of the Mississippi. I kid you not. Just a few months ago, he would not touch anything with color, texture, taste or smell. Chicken nuggets and steamed broccoli tops was about it for most dinners. And now, here comes puberty and with it, new taste buds! He eats EVERYTHING IN SIGHT! Including a BRIE BURGER WITH SPROUTS, ONION AND TOMATO!! “I’m a blind man who can suddenly see” he told me. And he can’t stop eating. Everything. Joyce’s Chicken Quesadilla was one of the winners. BP said it was better than his burger. Yes, that’s right, he ate right through the quesadilla after the burger. “On Sunday he ate through 1 basket of chips, 1 giant brie burger, 2 slices of Joyce’s Chicken Quesadilla, but he was still hungry…” Eric Carle? 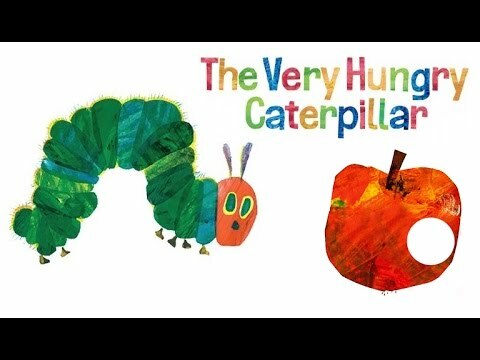 The Very Hungry Caterpillar, Anyone? Tower 13 has Shuffleboard and pinball for anyone hanging out who doesn’t want to watch sports, ME! This was great for the boys who were over Adult Time as soon as their food was gone. If I was someone who enjoyed sports bars or even just sports, you might get a better review of Tower 13. But you’re stuck with me, so I will do my best. The place itself is large, beachy and doesn’t come with the stale-beer-fraternity-house-bar smell that some other sports bars have. Our waitress and bartender couldn’t have been nicer or more accommodating. A+ there. The chilled Pineapple Tequila shots were the perfect way to start dinner, but two shots for $20 (with tip) burns going down more than the tequila. The food was good, even better than most sports bar food. The Chicken Quesadilla was great, and the tacos and burgers were above average. But there is far better in town for less money. Then again, I don’t come to a sports bar to eat a great meal. I come to hang out with friends, drink beers, eat fried food and watch the game. Wait, no I don’t. But if I did, I probably would choose Tower 13 to come back to. You are absolutely hysterical! I love your food blogs. Can we meet and have a drink… or three! Thank you so much! Join us anytime!